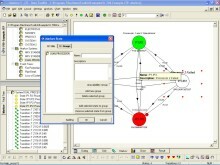 Markov analysis is a powerful modelling and analysis technique with strong applications in time-based reliability and availability analysis. The reliability behavior of a system is represented using a state-transition diagram, which consists of a set of discrete states that the system can be in, and defines the speed at which transitions between those states take place. Markov models consist of comprehensive representations of possible chains of events, i.e. 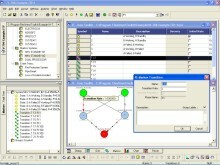 transitions within systems which, in the case of reliability and availability analysis, correspond to sequences of failures and repair. The Markov model is analysed in order to determine such measures as the probability of being in a given state at a given point in time, the amount of time a system is expected to spend in a given state, as well as the expected number of transitions between states: for instance representing the number of failures and repairs. Markov models provide great flexibility in modelling the timing of events. They can be applied when simple parametric time-based models, such as exponential or Weibull time-to-failure models, are not sufficient to describe the dynamic aspects of a system’s reliability or availability behavior; as may be the case for systems incorporating standby redundancy. 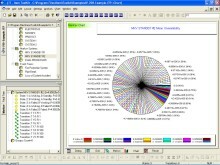 To download a free demonstration of our Markov Analysis software click here.